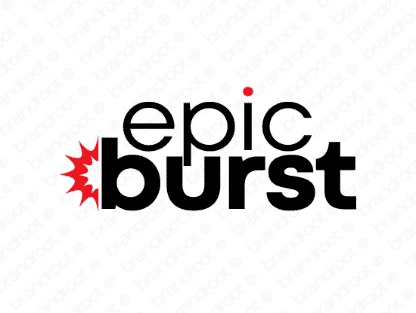 Brand epicburst is for sale on Brandroot.com! This impactful combo of "epic" and "burst" delivers maximum force and power. Epicburst has a strong visual and an unforgettable sound with diverse potential for industry-leading marketing businesses or innovative services that enable sales growth and increased profits. You will have full ownership and rights to Epicburst.com. One of our professional Brandroot representatives will contact you and walk you through the entire transfer process.